He's a very Pro photographer in town! We've engaged his pre-wed and actual day shooting service. 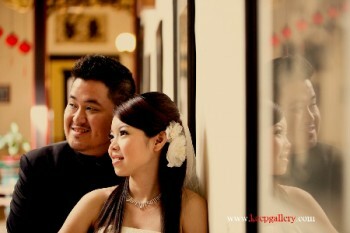 Just done our pre-wed on last month, we like the photos much. He's Pro and experienced photographer who's discuss patiently, expert in capture the moment. The entire shooting process was fun! Shooting package inclusive essential needs, good service yet price reasonable. Professional and thoughtful service. 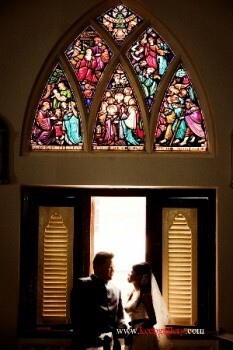 ..
We like his service & photography much. A very details & easy going photographer who will assist & give ideas to customer starting from the early shooting discussion, choosing shooting gown session to the stage of album layout & design.Conclusion, highly recommend him & his photo shoot package. My husband & I very satisfied with the photos and had engage him as our actual wedding day photographer. Tq Anson & team for coming out wit this special piece! I can't stop laughing when I saw this pic recalling d moment we had doin d zee zack crossing all d way up till d end of d road! it was tiring for ppl like me who dun exercise but it was so fun! Tq for d memories n looking forward for more great pic like tis from u! So we did our photoshoot in August and we’ve gotten the raw pictures… here are my favourite 6 pictures… smart of Keep Gallery to retain their web url on the pictures and i did not want to edit it out coz they did do a good job… hope u like the pictures! Oh ya, we finally chose Anson Choi to be our photographer as when we finally re-looked at the pictures he took, i kinda liked them… :) Also, Anson posted our pictures on his blog too!